Recent Arrival! Leather, Heated Seats, Sunroof / Moonroof, AUX PLUG, **10 YEAR/150,000 ENGINE WARRANTY**, Leather. Clean CARFAX. Silver 2012 Acura TL 3.5 FWD 6-Speed Automatic 3.5L V6 SOHC VTEC 24V 20/29 City/Highway MPG ****Price Includes $750 Finance Coupon****At Acura of Jackson, Mississippi's only Acura Dealership we strive to provide outstanding professional service in all areas of our dealership. We serve Mississippi as well as Alabama, Louisiana, and Tennessee. For your next used or new car or truck, visit us at www.AcuraOfJackson.com! Recent Arrival! Leather, Heated Seats, Sunroof / Moonroof, Certified Pre-Owned, Backup Camera, AUX PLUG, **Acura FACTORY CERTIFIED**, SMART KEY FEATURING PUSH BUTTON START, **10 YEAR/150,000 ENGINE WARRANTY**. Clean CARFAX. Silver 2016 Acura ILX 2.4L FWD 8-Speed Dual-Clutch 2.4L I4 DOHC i-VTEC 16V CARFAX One-Owner. 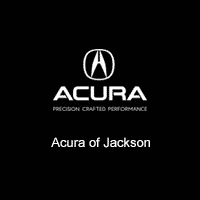 25/36 City/Highway MPG ****Price Includes $750 Finance Coupon****At Acura of Jackson, Mississippi's only Acura Dealership we strive to provide outstanding professional service in all areas of our dealership. We serve Mississippi as well as Alabama, Louisiana, and Tennessee. For your next used or new car or truck, visit us at www.AcuraOfJackson.com! Recent Arrival! Leather, Heated Seats, Sunroof / Moonroof, Certified Pre-Owned, AUX PLUG, **LOW MILES EXCELLENT CONDITION**, **Acura FACTORY CERTIFIED**, **10 YEAR/150,000 ENGINE WARRANTY**, Graystone w/Perforated Milano Premium Leather Seat Trim. Clean CARFAX. Blue 2014 Acura TL 3.5 FWD 6-Speed Automatic 3.5L V6 SOHC VTEC 24V Odometer is 18428 miles below market average! 20/29 City/Highway MPG ****Price Includes $750 Finance Coupon****At Acura of Jackson, Mississippi's only Acura Dealership we strive to provide outstanding professional service in all areas of our dealership. We serve Mississippi as well as Alabama, Louisiana, and Tennessee. For your next used or new car or truck, visit us at www.AcuraOfJackson.com! Leather, Heated Seats, Sunroof / Moonroof, Certified Pre-Owned, Backup Camera, AUX PLUG, Balance of Factory Warranty, **Acura Orgianal...One Car...One Dealership...One Story**, SERVICE LOANER, **LOW MILES EXCELLENT CONDITION**, **Acura FACTORY CERTIFIED**, SMART KEY FEATURING PUSH BUTTON START, **10 YEAR/150,000 ENGINE WARRANTY**. Clean CARFAX. Black 2018 Acura TLX 3.5L V6 FWD 9-Speed Automatic 3.5L V6 SOHC 24V LEV3-ULEV125 290hp 32/20 Highway/City MPG** ****Price Includes $750 Finance Coupon****At Acura of Jackson, Mississippi's only Acura Dealership we strive to provide outstanding professional service in all areas of our dealership. We serve Mississippi as well as Alabama, Louisiana, and Tennessee. For your next used or new car or truck, visit us at www.AcuraOfJackson.com! Recent Arrival! Leather, Heated Seats, Sunroof / Moonroof, Navigation / GPS, Certified Pre-Owned, Backup Camera, AUX PLUG, Foward Collision Warning, Balance of Factory Warranty, **Acura Orgianal...One Car...One Dealership...One Story**, SERVICE LOANER, **LOW MILES EXCELLENT CONDITION**, BLIND SPOT INFORMATION, **Acura FACTORY CERTIFIED**, SMART KEY FEATURING PUSH BUTTON START, **10 YEAR/150,000 ENGINE WARRANTY**. Clean CARFAX. Silver 2018 Acura TLX 2.4L w/Technology Package FWD 8-Speed Dual-Clutch 2.4L DOHC 16V Odometer is 2952 miles below market average! 23/33 City/Highway MPG ****Price Includes $750 Finance Coupon****At Acura of Jackson, Mississippi's only Acura Dealership we strive to provide outstanding professional service in all areas of our dealership. We serve Mississippi as well as Alabama, Louisiana, and Tennessee. For your next used or new car or truck, visit us at www.AcuraOfJackson.com! Recent Arrival! Leather, Heated Seats, Sunroof / Moonroof, Certified Pre-Owned, Backup Camera, AUX PLUG, Balance of Factory Warranty, **LOW MILES EXCELLENT CONDITION**, **Acura FACTORY CERTIFIED**, SMART KEY FEATURING PUSH BUTTON START, **10 YEAR/150,000 ENGINE WARRANTY**. Clean CARFAX. Lunar Silver Metallic 2019 Acura TLX 3.5L V6 FWD 9-Speed Automatic 3.5L V6 SOHC 24V ULEV II 290hp CARFAX One-Owner. Odometer is 3442 miles below market average! 20/31 City/Highway MPG ****Price Includes $750 Finance Coupon****At Acura of Jackson, Mississippi's only Acura Dealership we strive to provide outstanding professional service in all areas of our dealership. We serve Mississippi as well as Alabama, Louisiana, and Tennessee. 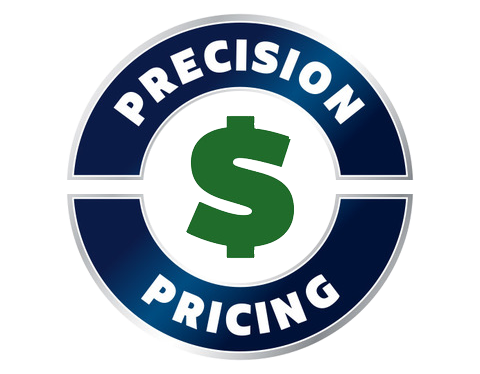 For your next used or new car or truck, visit us at www.AcuraOfJackson.com! Leather, Heated Seats, Sunroof / Moonroof, Navigation / GPS, Certified Pre-Owned, Backup Camera, AUX PLUG, Foward Collision Warning, Balance of Factory Warranty, **Acura Orgianal...One Car...One Dealership...One Story**, BLIND SPOT INFORMATION, **Acura FACTORY CERTIFIED**, SMART KEY FEATURING PUSH BUTTON START, **10 YEAR/150,000 ENGINE WARRANTY**, Distance-Pacing Cruise Control, Navigation System, Speed control. Clean CARFAX. Certified. pewter gray met 2018 Acura RLX Technology Package FWD 10-Speed Automatic 3.5L V6 SOHC i-VTEC 24V CARFAX One-Owner. 20/29 City/Highway MPG Acura Certified Pre-Owned Details: * Includes Trip Interruption and Concierge Services * Powertrain Limited Warranty: 84 Month/100,000 Mile (whichever comes first) from original in-service date * Vehicle History * Roadside Assistance * Warranty Deductible: $0 * Transferable Warranty * 182 Point Inspection * Limited Warranty: 12 Month/12,000 Mile (whichever comes first) after new car warranty expires or from certified purchase date ****Price Includes $750 Finance Coupon****At Acura of Jackson, Mississippi's only Acura Dealership we strive to provide outstanding professional service in all areas of our dealership. We serve Mississippi as well as Alabama, Louisiana, and Tennessee. For your next used or new car or truck, visit us at www.AcuraOfJackson.com! Recent Arrival! Leather, Heated Seats, Sunroof / Moonroof, Navigation / GPS, Certified Pre-Owned, Power Lift Gate, Backup Camera, AUX PLUG, Foward Collision Warning, Balance of Factory Warranty, **Acura Orgianal...One Car...One Dealership...One Story**, SERVICE LOANER, **LOW MILES EXCELLENT CONDITION**, BLIND SPOT INFORMATION, **Acura FACTORY CERTIFIED**, SMART KEY FEATURING PUSH BUTTON START, **10 YEAR/150,000 ENGINE WARRANTY**, AWD. Clean CARFAX. Certified. Silver 2018 Acura RDX Technology Package AWD AWD 6-Speed Automatic 3.5L V6 SOHC i-VTEC 24V 19/27 City/Highway MPG Acura Certified Pre-Owned Details: * Warranty Deductible: $0 * Includes Trip Interruption and Concierge Services * Vehicle History * Transferable Warranty * Powertrain Limited Warranty: 84 Month/100,000 Mile (whichever comes first) from original in-service date * Roadside Assistance * Limited Warranty: 12 Month/12,000 Mile (whichever comes first) after new car warranty expires or from certified purchase date * 182 Point Inspection ****Price Includes $750 Finance Coupon****At Acura of Jackson, Mississippi's only Acura Dealership we strive to provide outstanding professional service in all areas of our dealership. We serve Mississippi as well as Alabama, Louisiana, and Tennessee. For your next used or new car or truck, visit us at www.AcuraOfJackson.com! Recent Arrival! Leather, Heated Seats, Sunroof / Moonroof, Navigation / GPS, Certified Pre-Owned, 3rd Row Seating, Power Lift Gate, Backup Camera, AUX PLUG, Foward Collision Warning, Balance of Factory Warranty, **Acura Orgianal...One Car...One Dealership...One Story**, SERVICE LOANER, **LOW MILES EXCELLENT CONDITION**, BLIND SPOT INFORMATION, **Acura FACTORY CERTIFIED**, SMART KEY FEATURING PUSH BUTTON START, **10 YEAR/150,000 ENGINE WARRANTY**, Parchment w/Perf Milano Leather w/Contrast Stitching & Piping. Clean CARFAX. Copper 2018 Acura MDX 3.5L w/Technology Package FWD 9-Speed Automatic 3.5L V6 SOHC i-VTEC 24V 19/27 City/Highway MPG ****Price Includes $750 Finance Coupon****At Acura of Jackson, Mississippi's only Acura Dealership we strive to provide outstanding professional service in all areas of our dealership. We serve Mississippi as well as Alabama, Louisiana, and Tennessee. For your next used or new car or truck, visit us at www.AcuraOfJackson.com! Recent Arrival! Backup Camera, AUX PLUG, **10 YEAR/150,000 ENGINE WARRANTY**, I4 Hybrid. Clean CARFAX. Black 2018 Ford Fusion Hybrid SE FWD E-CVT Automatic I4 Hybrid CARFAX One-Owner. 43/41 City/Highway MPG ****Price Includes $750 Finance Coupon****At Acura of Jackson, Mississippi's only Acura Dealership we strive to provide outstanding professional service in all areas of our dealership. We serve Mississippi as well as Alabama, Louisiana, and Tennessee. For your next used or new car or truck, visit us at www.AcuraOfJackson.com!